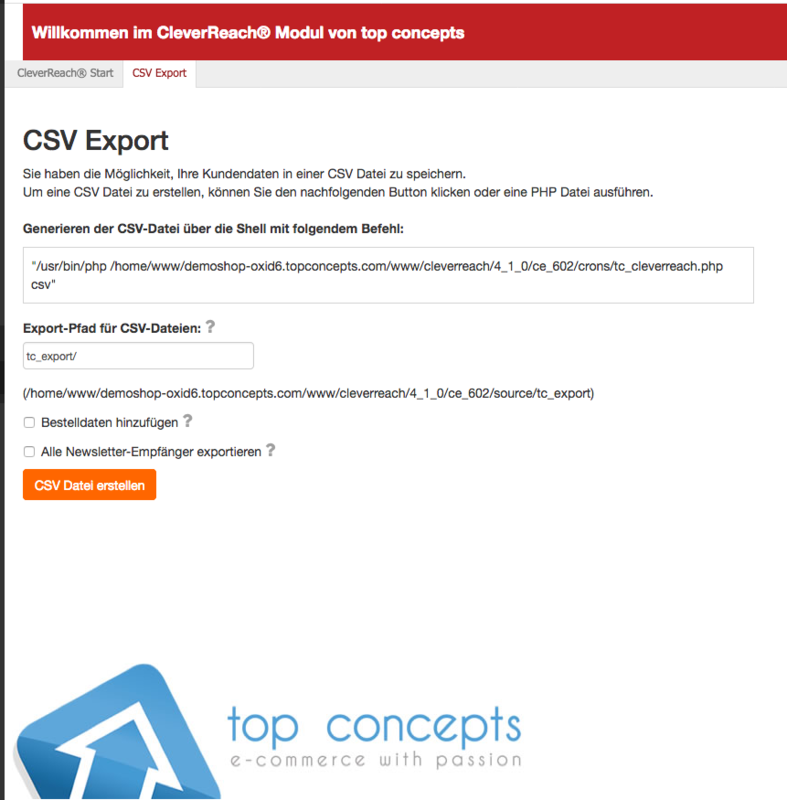 The exported data allows you to address exactly the right target groups you want to reach with your newsletters. 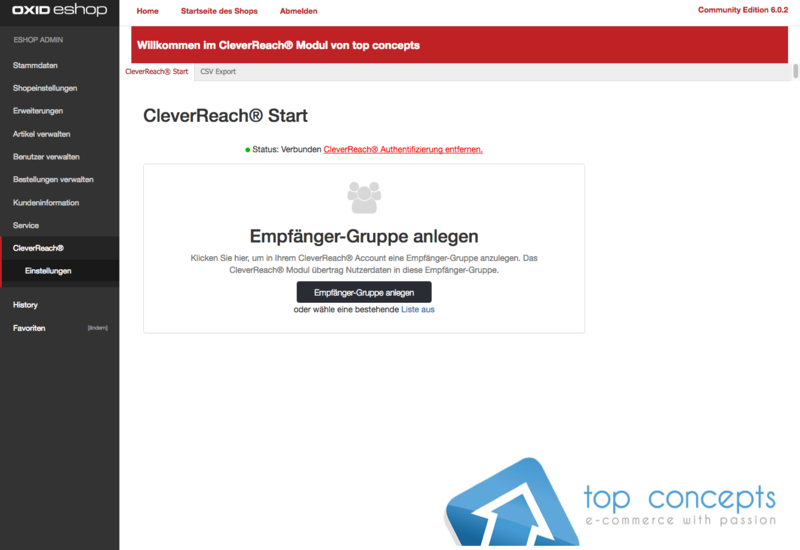 The extension uses the powerful CleverReach® REST API v2 and also offers a CSV export. 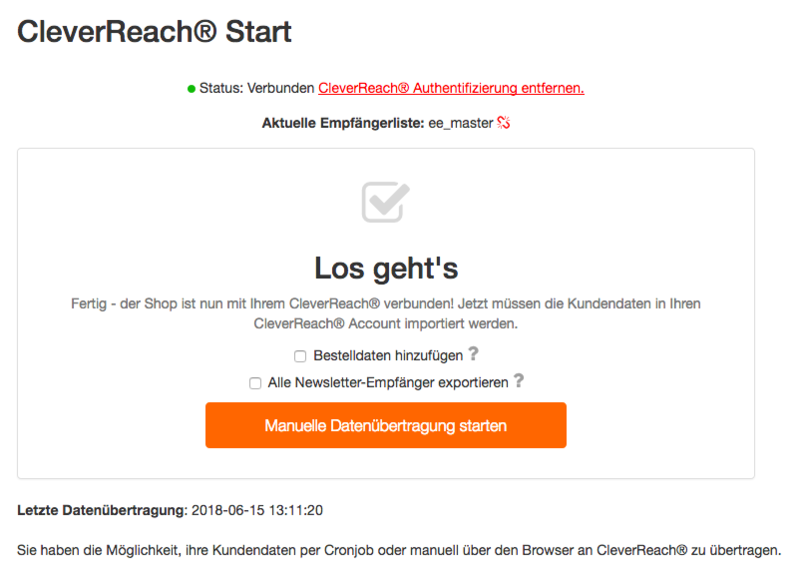 Both e-mail recipients and purchases can be submitted to CleverReach®. 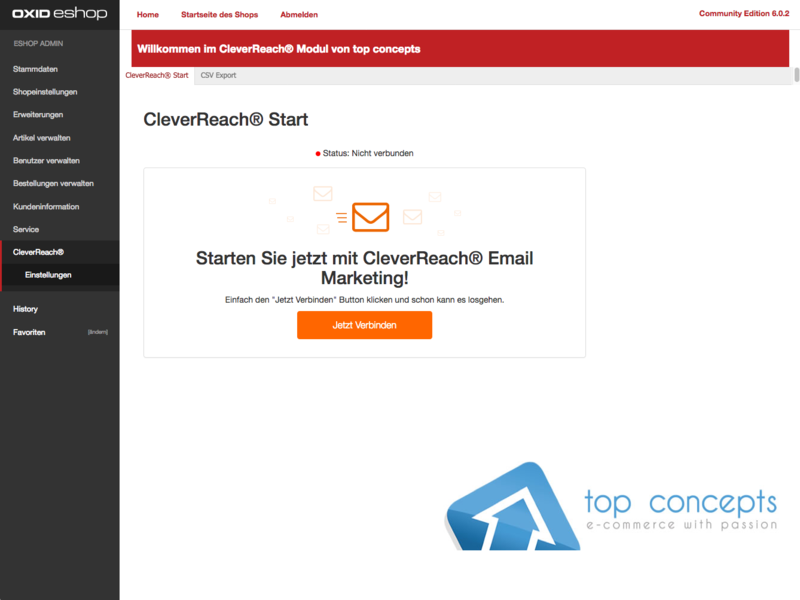 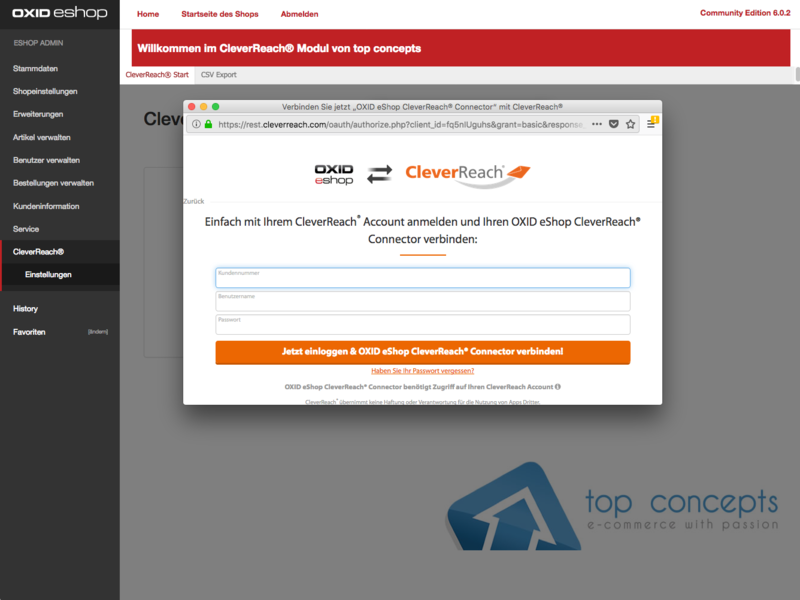 Even the CleverReach® "My Content" - Interface is implemented, so you can drag and drop shop products into your mailings.